Pacific Chamber Music Ensemble students will perform works by Igor Stravinsky, Maurice Ravel, Dmitry Shostakovich, Pyotr Ilyich Tchaikovsky. The musicians were coached by Pacific Conservatory faculty, Ann Miller, Patricia Shands, and Igor Veligan. At the University of the Pacific Conservatory of Music, chamber music is a strong and vital component of the performance studies program giving students the opportunity to perform in a diverse group of small ensembles. 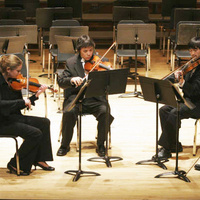 Several Pacific student ensembles have won prizes in major chamber music competitions. Open to public. Free admission.